Who doesn't love to smell good? Having a signature scent can be a powerful anchor. Scents are engrained in our memories; my grandmother wore Shalimar and it still reminds me of her, 30 years after her death, if I get a whiff of it. 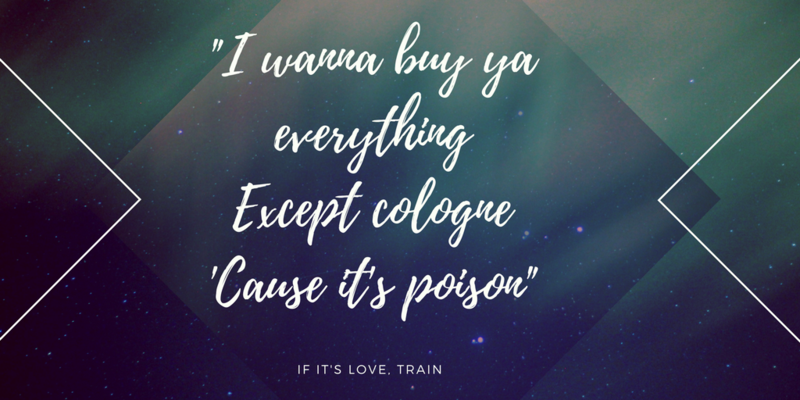 Sadly, most perfumes on the market today are not safe to inhale or apply to our skin on a regular basis. Long ago, rare essential oils and fancy plant extracts were commonly used as fragrances by the upper class. While it's hard to know for sure that they were pure and safe, there were fewer synthetic ingredients available at that time. Today, the goal for the big perfumers seems to be profit at any cost, potential health consequences be damned. More and more evidence is showing that hormone-disrupting chemicals are interfering with our reproductive and immune systems. Yet, the major players dial up the fragrance boldly and shamelessly—from perfume to air fresheners to laundry products. They are chock full of phthalates, known endocrine disruptors, and should be avoided as much as possible. The good news is that many companies are popping up with nontoxic perfumes. I have tried a lot of them and, in my experience, it's hard to find the right scent and the lasting power is definitely less than traditional fragrances. My signature scent (prior to becoming enlightened on ingredients) was Chanel No. 19. 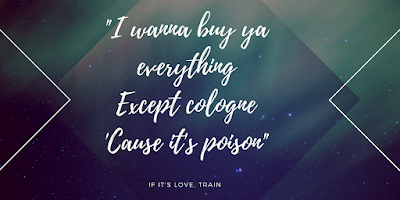 I looked up the notes in Fragrantica to see if I could find something similar—a tall task! PHLUR — tried three samples for $18 and didn't like any of them so they sent me two more at their expense (great customer service!). I haven't settled on one yet; packaging and concept make it worth checking out. CLEAN — does not say phthalate-free on the website, but I reached out to them and they said they are. This brand is also focused on sustainability with regard to its packaging and raw materials sourcing, which is terrific. 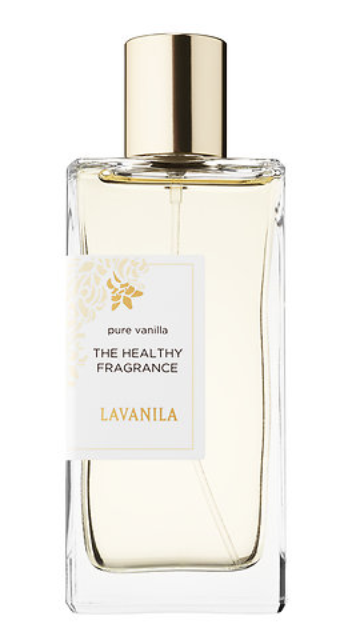 Lavanila — this is still my go-to after several years. I use Pure Vanilla in rollerball and spray and just simply love it. I get a lot of compliments, and while it's a straightforward, uncomplicated scent, other variations are available. Strange Invisible — tried some samples of these and was intrigued but the scents did not speak to me. 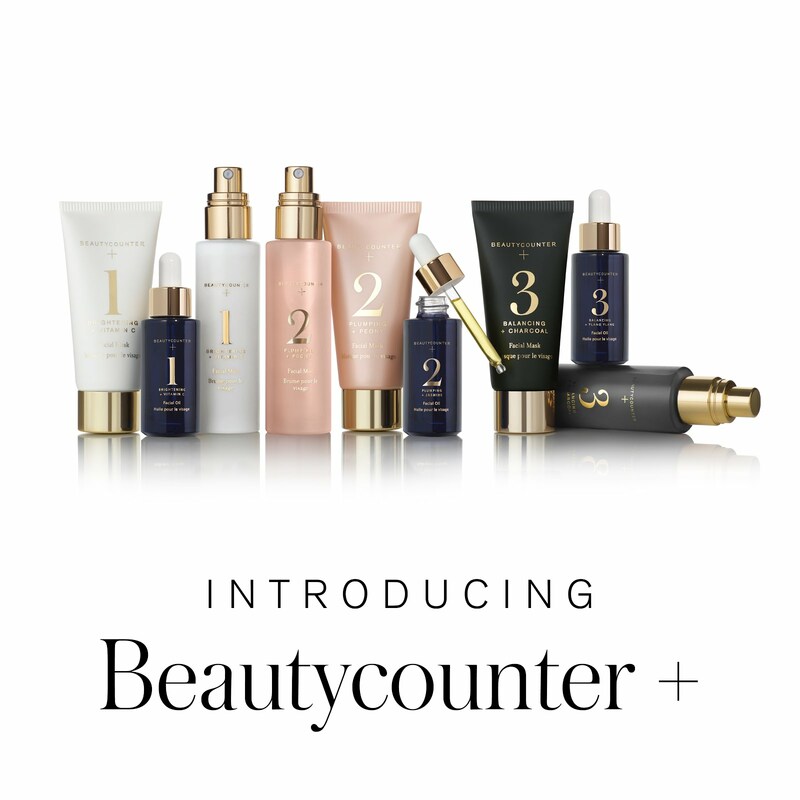 Very beautiful articulation of their brand and they offer body products as well for layering. 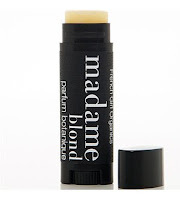 French Girl Organics Parfum — I tried the stick perfume in Madame Blond (of course) and liked it. I don't see that on the site now, but they do offer five scents, which look to be very complex. Those are on my list to try. Daniela over at Drops of Lemon and Honey wrote a great post with her favorites—most of which were unfamiliar to me. I did try LURK and didn't find a scent I liked (got samples through Integrity Botanicals). Treehugger also covered 12 natural perfume companies, only one that Daniela or I mentioned (LURK), and there look to be some excellent options here as well. What have you tried...and what do you recommend? I would love to hear! P.S. If you're interested in identifying other hormone-disrupting chemicals, EWG provides a list of the top 12 — where they commonly show up and how to avoid them. Going gluten-free (GF, yo) has never been so delicious. If you haven't experimented with how different foods make you feel, look or act and you think all bodies are the same, act the same and react the same, this article is probably not for you. Just move along with your "gluten-free is a fad" thinking. We can still be friends. Really. If, like me, you've found that curbing intake of gluten makes you feel better, or you have been diagnosed with gluten intolerance, then this article is for you! When I eat gluten, I shortly thereafter feel tired, my face breaks out in little dry patches and my system gets, let's just say, messed up. Am I sensitive or allergic or making it up in my head? Who cares. I like the energy I have when I don't eat it. 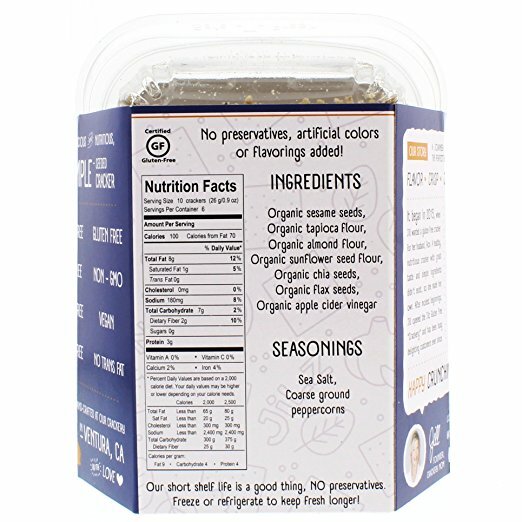 So I have tried a lot of GF versions of products normally made with wheat. Some are downright terrible. Many are okay but not worth repurchase. Some really stand out. Those are the ones that deserve a shout out. 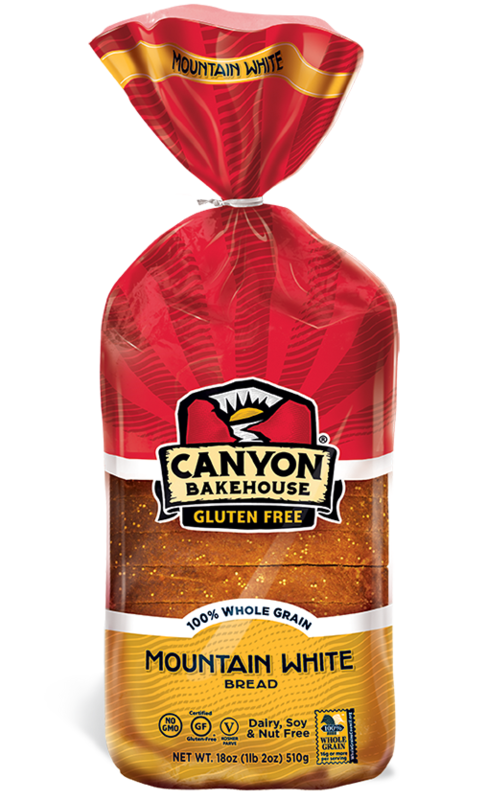 Canyon Bakehouse breads. The best GF bread, hands down. 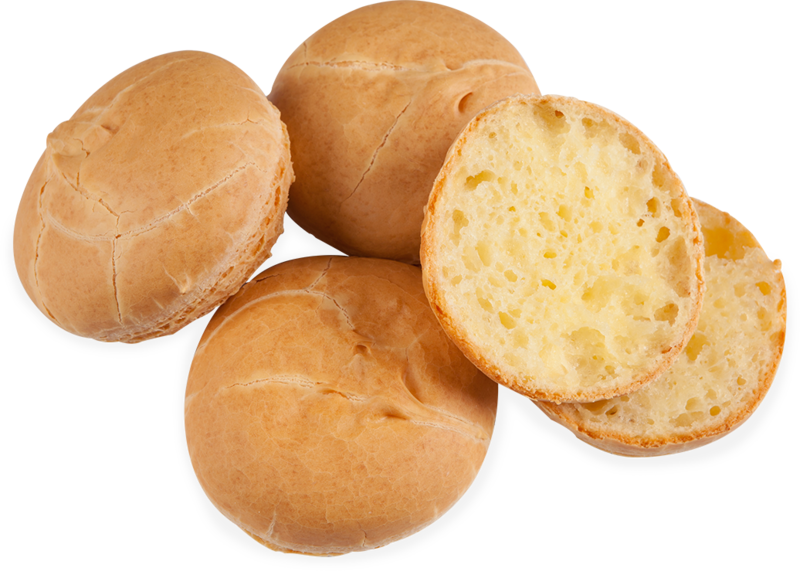 It's the closest thing to normal bread you will find—and it's really close. Buy it fresh at Target (preferred) or frozen at Wegman's. I love the white and the multi-grain is also excellent. We keep ours in the fridge and use within a week. It is great for a grilled cheese sandwich. It holds up in the lunchbox with my son's favorite chocolate almond better spread (surprisingly not unhealthy). Canyon Bakehouse also makes focaccia, buns and more, to wonderful acclaim, but I have yet to try those because our lame stores carry a very limited selection. Pamela's pancake mix. We tried a lot of flours and mixes and Pamela's is by far the best. (If you're interested, Bob's Red Mill was the absolute worst. I actually took it back to the grocery store, it was that bad.) Pamela's pancakes are a little more dense than fluffy. But they are not heavy. The texture is normal and the flavor is all pancake. Of course, my kids douse enough natural maple syrup on them that they can't taste the pancake anyway! It's available in a 24-ounce size, which makes about 34 four-inch pancakes. It also comes in a 4-pound bag. We use this same mix to make delicious waffles, which are easy to freeze for use during the week. This mix is also designed for muffins and cakes, though I have not used it for those recipes yet. Bionaturae pasta. Pasta is delicious and when you have kids with a busy schedule, it's a fast and filling dinner. Even though we have tried some very bad GF pastas, I did not give up. Thankfully, I found Bionaturae spaghetti. These noodles are so good, my husband asked me if it was really gluten-free. Fooled him! It may be the combination of rice, potato and soy flours that makes it better than others. We don't eat a lot of soy, but this at least is organic soy flour, so I make that concession. Pasta made with only rice flour has a terrible texture and does not hold up in pasta salads at all. It gets hard and crumbles. Corn pasta is a less expensive substitute (Wegman's brand), however Bionaturae is our hands-down favorite. Evol Chicken Tikki Masala and Fire Grilled Steak bowl. We all try not to buy processed, convenience foods. But let's not pretend it's not great to open the freezer, grab a boxed meal and microwave it for a quick and healthy lunch or dinner. While they violate my "ideal" of avoiding the microwave, particularly in a plastic container, I make an exception for these delicious quickies. I am super weird about meat in general and I've never had a bad piece of chicken or steak from Evol. The serving size is on the small side, but they are filling, taste fresh and have no fake ingredients. I usually buy them at Target, and they are often on sale. If you're wimpy about spices, start with the Fire Grilled Steak bowl because the Tikki Masala is spicier. Jilz Original Crackerz. If you like a crunchy, hearty, peppery cracker, you will love Jilz. These gems are packed with nutrition, Paleo-compliant and filling. I found them on Thrive.com but they are also available on Amazon now. Not inexpensive, but definitely a high-quality snack. I've only tried the Original; Jilz also offers Tuscan and Mediterranean and the reviews are excellent for all three flavors. They would pair well with almost any cheese and definitely a glass of red wine. Kinnikinnick donuts. I haven't seen many GF donut options, but Kinnikinnick's are very good, worth an occasional splurge. We have tried the cinnamon sugar and the chocolate coated and both cake-style donuts are delicious. You'll find them in the freezer section. A quick pop in the microwave and they are good to go. I also recently saw that Stonewall Kitchen has a dry mix that gets excellent reviews, so I am going to put it on my list to try (along with buying a donut pan). Against The Grain rolls and baguettes. Against The Grain came up with a unique way to solve the dryness often found in GF breads—add cheese. As long as you're a dairy-eating person, you will find this to be ingenious. Their baguettes and dinner rolls come frozen. After thawing them for about 30 minutes, I pop them in the toaster oven. Out comes a crusty, chewy, delicious bread that is awesome for dips and cheese plates. It is crumbly on the outside, for sure. But the flavor and the texture when it first comes out of the heat is just perfect. Against The Grain Gourmet also makes a pizzas, bagels, pitas, and a 100% plant-based chocolate chip cookie that I have yet to try. I love that they are against not only grain, but also fillers, binders and gums. Capellos Grain Free Lasagna Sheets. You will never know these are made with almond flour and eggs. 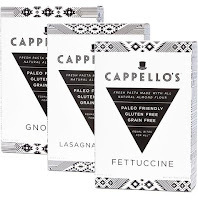 I mean, seriously, these make the best lasagna. Use your normal recipe but layer these sheets instead of normal pasta and prepare to be amazed. I will warn you, their products are a little pricey. I buy them in the freezer section of the natural foods area at Wegman's. Capellos also makes cookie dough and pizzas. People love this brand and for good reason. Do you agree with my picks? What are your favorites? Please share. That's how I found Canyon Bakehouse—thank you very much, Liz! I'm a sucker for great design and remarkable customer service. So I have to share a quick story of my shopping experience with IntegrityBotanicals. 1. Instant delivery of coupon code for signing up for their newsletter. 2. Very well curated product selection. 3. Free samples with every order. 4. Gorgeous design and usability. 5. Responsive on social media. 6. Free shipping with minimum order. 7. High quality products at fair prices. 9. Careful packing with branded materials. 10. Hand-written note and coupon with order. I was able to try a few Lurk and Strange Invisible scents, as well as a lip stain and Acure argan oil. I bought 100% Pure body wash, W3ll People lip gloss, skinnyskinny dry shampoo and Theodent chocolate toothpaste for the kids. 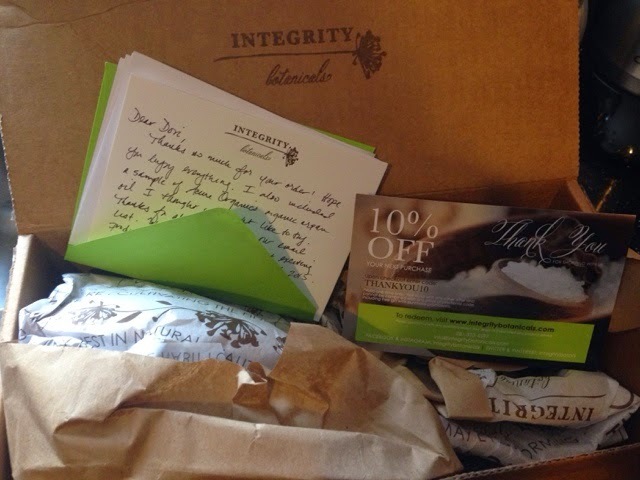 Excited to try everything and will definitely order again from Integrity Botanicals. My first review following two whirlwind days at EXPO East comes from a company I didn't set out to see. So glad I stopped to chat. My go-to healthy dinner used to be a chicken Caesar salad but when I went gluten-free, I found myself missing the crunch. And fell out of the habit. Among the gems at the show, I found my way to Metropolitan Gourmet, purveyors of gluten-free croutons and bread crumbs. Jerry kindly gave me a sample of their new garlic croutons and a box to take home. I must really have been missing croutons in my life. After an eight-hour day on my feet and a 90-minute drive home, I took one look at a piece of grilled chicken left over from the kids' dinner and chopped up a chicken Caesar salad...because I had croutons! 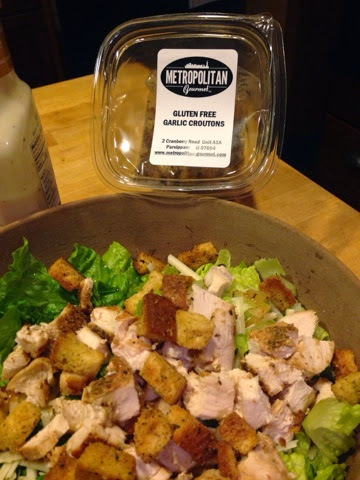 Chicken caesar salad with Metropolitan Gourmet Gluten-Free Garlic Croutons. I always have Parmesan cheese on hand but it was lucky that my favorite yogurt-based Caesar dressing and fresh romaine also happened to be in my fridge. Voilá! It was delicious. MG's GF croutons were fresh, crunchy, flavorful and just the right size (thankfully not those giant ones that don't easily break and are too big to eat politely). 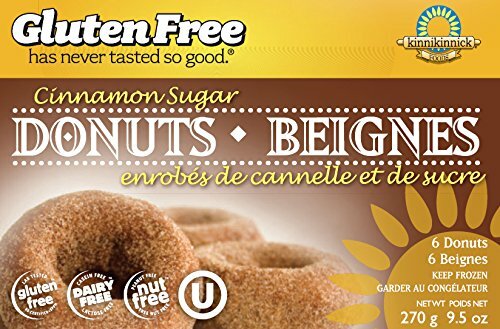 In addition to being gluten-free and non-GMO certified, the products are soy-free, corn-free, dairy-free and egg-free. Their goal is simple ingredients and great taste. Mission accomplished. 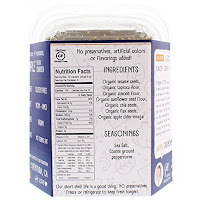 I'm looking forward to baking with the bread crumbs and trying Metropolitan Gourmet croutons to make GF stuffing for the holidays. Yum! You can purchase them on their website under the Retail tab. Check out the recipes while you're there, too! 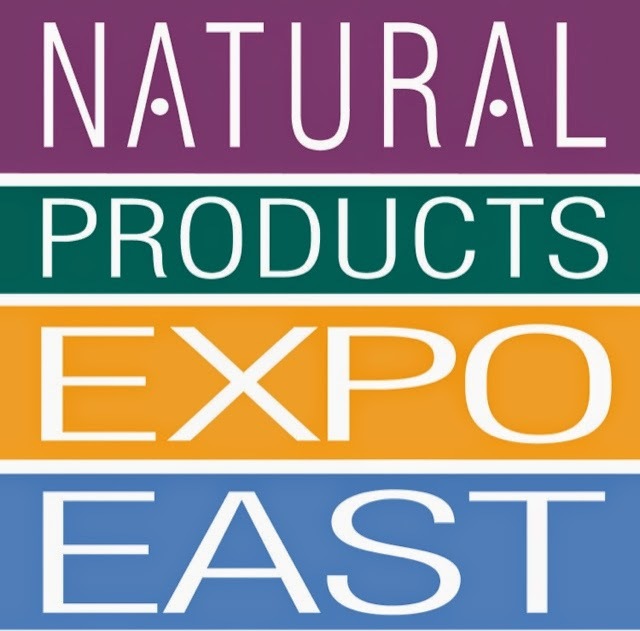 Natural Products EXPO East is this week! 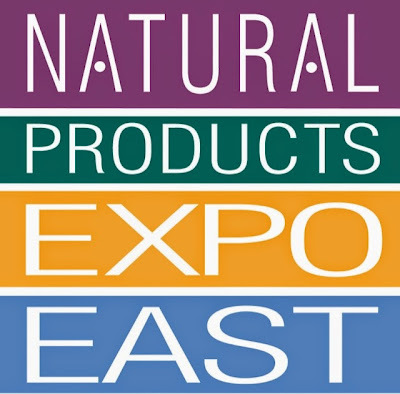 Last year was the first year I attended Natural Products EXPO East and I was unprepared for the scope of brands I'd get to meet. I didn't even plan a full day there! This year, I am booked for two full days, so I can take my time and see all the new products launching as well as see companies I love. I'm armed with a list this year. Very excited to connect with like-minded people and introduce my readers to healthy, delicious options.